You may be aware that Champagne technically can only come from the region of France called—you guessed it—Champagne. Everything else is sparkling wine. Naming a cheese is more complicated than one might expect. There are many European cheese names that can’t be used at all in America. In the past, if you made a common European cheese, you could label it as such. But the European Union has halted this practice by protecting well-known varieties with a “designation of origin” label, limiting production to specific locations in Europe. For example, let’s say you want to make Manchego, a well-known Spanish sheep’s milk cheese. That name is now protected by the European Union. Unless you’re living in the La Mancha region of Spain and making your cheese from the milk of sheep of the Manchega breed, your cheese can’t be called Manchego. The same applies to other greats such as Pecorino Romano, Saint-Nectaire and Danish Blue. For more, check out the full piece here. Though there are a handful of reasons that European specialty cheese has us beat on the bottom line, it seems mostly to come down to the simple matter of production scale. That Brie de Meaux sitting in the case next to the Green Hill from Thomasville, Georgia was probably made in a significantly larger facility, with much more high-tech equipment, and therefore much more efficiently and more cost effectively. I spoke with Mateo Kehler of Cellars at Jasper Hill on this subject and he offered that it’s almost unfair to compare the price of two such cheeses, considering that one was produced in a factory and one was produced in relatively small quantity on a family farm. It’s just not comparing apples to apples. What makes this particularly confusing from a consumer standpoint is that these cheeses are sold right next to each other, both under the “specialty” cheese umbrella. In a sense, they are both “specialty” cheeses, but they are not both small-batch artisan cheeses. To further confuse the matter, many European factory cheese makers are very skilled at producing really tasty cheeses on a large scale. So it’s not often obvious to the consumer, from a flavor perspective, that they are eating factory cheese. For more of the reasons that domestic artisan cheesemakers have difficulty competing on price relative to large-scale European producers, check out the full post here. Once when tacos were on the menu at our house, I encountered big, crunchy crystals in a bit of Hook’s two-year cheddar we were using up. (Lacking a better comparison, the biggest ones were about the size of a Nerd candy.) I did a little poking around online, and it seems that crystals in cheddar are calcium lactate that results as the cheese loses moisture and lactic acid crystallizes. It’s apparently more common in longer-aged cheddars. It was bit unexpected when I first encountered it and — horrifying as it sounds — sort of felt like coming across a chipped piece of my own tooth in my taco! In my online digging, I rediscovered this piece by Kyle Nabilcy that I had read in the Isthmus (Madison’s weekly alternative newspaper) when it first appeared. I’ve never tasted the Hook’s 15-year cheddar, but inspired by Kyle and other aficionados, I’ll try to take a positive view of those odd crunches in my cheese. confirmed observations that packaging (gas flush vs vacuum), temperature cycling and temperature of storage play a role in the appearance of crystals. Many researchers have found a correlation between crystals and higher levels of lactic acid in cheese. Despite these helpful leads, we knew the puzzle wasn’t solved because we also saw that not all cheese with high acid developed crystals and not all gas flushed cheddar cheese with high acid developed crystals. Although vacuum sealed packages greatly limited calcium lactate crystal production, they did not stop it completely. Now, in the last several years we are seeing crystals forming in young cheese. Like I said, it’s a technical piece, but it definitely makes for a fascinating read, so I encourage you to check out the full article for yourself. The Conscientious Omnivore is away this week. This is an encore presentation of a post that originally appeared in slightly edited form on September 12, 2011. Wooden boards have been used for many years in most traditional cheesemaking countries as a shelving mechanism for aging cheese. 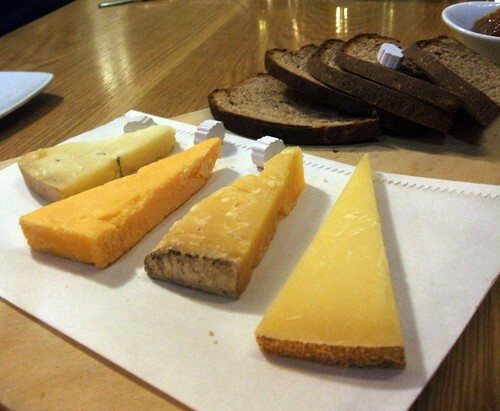 In France, more than 300,000 tons of cheese are ripened on wooden boards each year (Meyer, 2005). 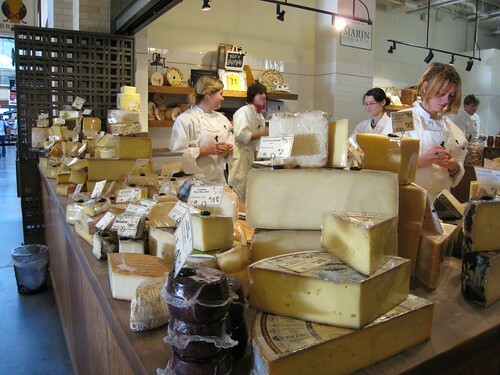 Most artisan cheesemakers feel that wooden shelves favor cheese rind development and improve the organoleptic qualities of aged cheeses thanks to the formation of a biofilm on the wood surface. Take a look at an uncut wheel of Camembert, wrapped in its bloomy white jacket. All that luscious rind—the best part to many people—is made of microbes; the cheese itself begins a few millimeters under the surface. The entire outer crust is actually a colony of organisms, sealing the paste away from pathogens and contributing its own unique flavors to the finished product. The technical term for this community is biofilm, a web of interconnected microbes that rely on each other to create their own environment, like a coral reef. Biofilms are found everywhere that microbes settle, from a slippery river rock to the lining of your stomach…. But biofilms aren’t just masses of microbes; they’re organized. Individual cells constantly send out and measure chemical signals in a process called quorum sensing. When the bacterium or fungus detects enough of its own kind (or enough other species) in the area, the cells switch from acting as individuals to acting as part of a community of connected organisms. By knitting themselves together with strands of protein and sugars, the microbes become much tougher. While this is a problem with pathogenic microbes, which become harder to control with chemicals or antibiotics, cheesemakers take advantage of biofilm’s toughness by cultivating edible versions that resist the growth of undesirable bacteria and mold, while regulating the flow of gas and moisture into and out of the cheese paste. 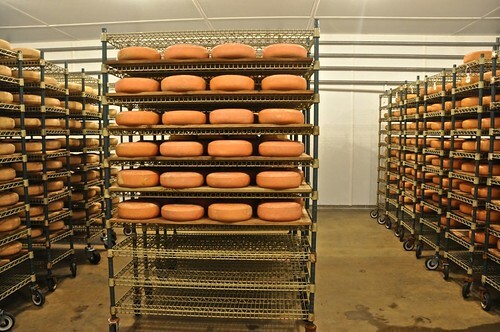 considering the beneficial effects of wood boards on cheese ripening and rind formation, the use of wood boards does not seem to present any danger of contamination by pathogenic bacteria as long as a thorough cleaning procedure is followed. Want all the fascinating technical details? You can find their article on pages 8 and 9 of this PDF. Finally, to see an award-winning cheesemaker at work, aging his much-sought-after cheeses on wooden boards (and even wrapped in spruce bark), check out the episode of Wisconsin Foodie that features Andy Hatch of Uplands Cheese. (Hatch also happens to be a dairy science alum of UW-Madison.) Enjoy the whole program if you’ve got time, or skip ahead to catch a couple minutes starting at time mark 10:11.
in Italy, at least, the practice may be dying out. “Young people don’t want to stay in the mountain because there are poor opportunities for work,” so they often move to the city, says food chemist Giovanna Contarini…. Contarini and her colleagues have been working to save these mountain dairy products. And fans of the cheeses say there’s more than just nostalgia involved. It’s not easy to define the flavor, Contarini says, but aficionados insist the cheeses do taste better. There’s also evidence that mountain cheese might even be a little healthier, containing, for example, more omega-3 fatty acids than cheese made from the milk of cattle raised on the plains…. “In the mountain areas, the cows are free to pasture,” she says. They mostly eat a mix of fresh grasses and other vegetation. Cattle raised at lower elevations in Italy, in contrast, are kept in farms and eat a prepared feed that contains dried grasses and some fat and vitamins. “Consequently, the rumen digestion is different,” she says. The rumen is the first chamber in a cow’s stomach, and it’s full of microbes. What a cow eats helps determine what microbes rumble in its rumen, and those differences play out in the chemical composition of its milk. “So some constituents of milk, particularly the fat and the lipid soluble compounds, are different,” Contarini says. For the full piece, which includes a number of links, head here. Although I didn’t attend the recent Isthmus Beer & Cheese Fest, I was happy to read about some highlights from Robin Shepard at (where else?) the Isthmus website. J will be glad to hear that Shepard’s “Hoppy Favorite” was Silk Scorpion Black IPA from Karben4 Brewing: “With lots of citrus hoppiness and deep dark malty flavor, this brew it lives up to the name with a silky-smooth mouth feel and very dark black color. This is worth a trip to the new Madison brewery for another taste.” For more of Shepard’s “best of the best,” head here for the full piece: lovers of Wisconsin beer (and cheese) will find a list of great things to seek out this year. In a short, light-hearted piece from John Waters (also at — where else? — the Isthmus website), I learned that some cows dine on spent grain from one of Madison’s most productive breweries: “Ale Asylum vice president Otto Dilba tells us the cows come running for the Hopalicious grain during a special beer and cheese pairing with Sarah Hill.” It was cool to see in the photo accompanying Waters’ post that one of the pairings included Ale Asylum’s limited-release Blood Red Ale, which J and I and some friends also got to try at a recent special event dinner at The Coopers Tavern. (I liked it a lot. Thanks, M!) Waters also gives a second thumbs up to Karben4’s Black IPA. For one more look at the fest, check out this post from The Brews Bros website. 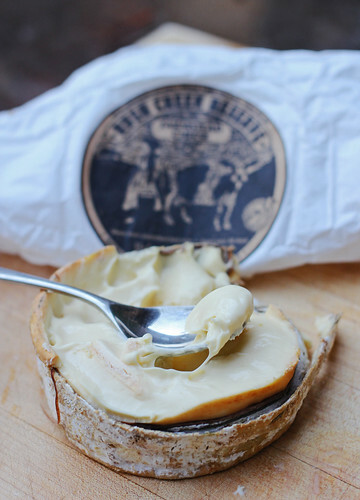 The soft, French-inspired cheese is made of raw milk from cows on the Uplands farm and aged for 60 days. It is made in small wheels that are surrounded in spruce bark, a wrapping that serves as a container once the cheese is opened from the top to then spread on bread or other things…. The cheese debuted to much fanfare in 2010, and has been featured in The New York Times, Bon Appetit and Culture, a national cheese magazine as well as being sold in the top cheese shops throughout the U.S…. The good news for fans of the cheese is that there will be more of it around; the bad news for Uplands is the jump on Rush Creek had everything to do with a potentially devastating drought. Head here for the full story, and a brief video of cheesemaker Andy Hatch cutting into a wheel of Rush Creek Reserve. In other news, Hook’s Cheese Company is releasing a 15-year cheddar again. As Nick Brown reports for MadTable, “The small company will be selling the $50-per-pound cheese at its Mineral Point factory on Friday, Nov. 2, and at the Dane County Farmers Market the following day.” For a list of Madison-area retailers that will be stocking the cheese, and news of an even-longer-aged Hook’s cheddar in the works, head to Brown’s post. 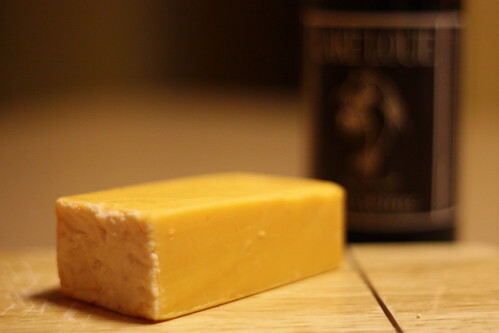 Finally, for a preview of what you might experience if you splurge on a bit on this crystalline teenage cheddar, check out Kyle Nabilcy’s nice piece in Isthmus from 2009 when Hook’s first released a 15-year.